Sumit Nagal lost in the first round in Poland, while Vijay Sundar Prashant went down in the final round of the Shanghai qualifiers. 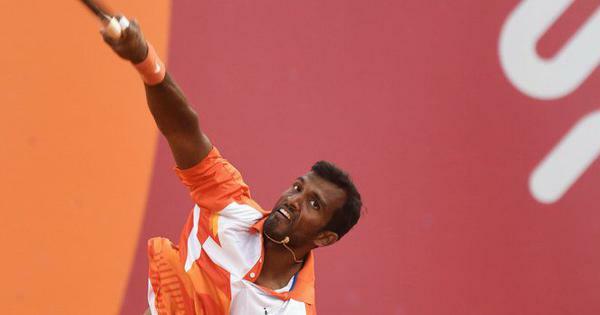 The bulk of Indian men tennis players will be in action at Davis Cup this weekend with Ramkumar Ramanathan and Prajnesh Gunneswaran, Rohan Bopanna, N Sriram Balaji as well as Arjun Kadhe and Saketh Myneni playing the World Group Playoff tie against Serbia at Belgrade. Here’s a look at the results of the Indian players in action this week. Sumit Nagal, who had refused to join the team as a stand-by, lost in the first round at the Szczecin Challenger in Poland. Gonzalo Lama beat the top seed 6-4, 6-4. At the Shanghai Challenger, Vijay Sundar Prashant went down to second seed Aldin Setkic 4-6, 4-6 in the final round of qualifying as well. Vishnu Vardhan and Vinayak Sharma Kaza earlier lost in the second round. On the women’s tour, Alisa Rastegaeva beat India’s Shilpi Swarupa Das 6-1, 6-2 in the second round of qualifying at the ITF $15,000 tournament at Almaty, Kazakhstan. At the $15,000 Monastir ITF event in Tunisia, Bhuvana Kalva beat Diana Chehoudi 6-4, 7-6(4) while Sathwika Sama beat Asya Colombo 6-0, 6-in the second round of qualifying. A number of Indians are in action at the main draw of the ITF event in Egypt as well, who were yet to play their first-round matches.